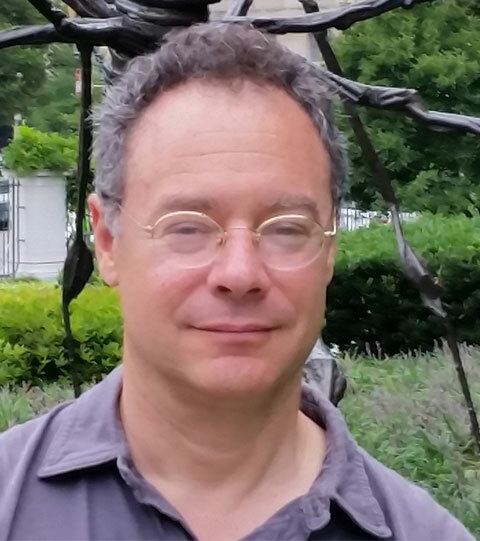 Jonathan Skolnik is Associate Professor of German, with adjunct appointments in History and in Judaic and Near Eastern Studies. He is also core faculty in Film Studies and associate faculty in Comparative Literature. Professor Skolnik’s research and teaching focuses on German-Jewish Studies, intellectual history, and film studies. He is the author of Jewish Pasts, German Fictions: History, Memory, Minority Culture in Germany, 1824-1955 (Stanford University Press, 2014) and has edited special issues of New German Critique on “Secularization and Disenchantment” and “German-Jewish Religious Thought.” He has held fellowships from the United States Holocaust Memorial Museum; the Leo Baeck Institute; and the University of Pennsylvania's Center for Advanced Judaic Studies. In 2016-2017, Professor Skolnik was Interim Director of the Institute for Holocaust, Genocide, and Memory Studies. He is President of the North American Heine Society. "Memory without Borders? Migrant Identity and the Legacy of the Holocaust in Olga Grjasnowa's Der Russe ist einer, der Birken liebt," German Jewish Literature after 1990, Katja Garloff and Agnes Mueller, eds. (Rochester, NY: Camden House, 2018). “28 May 1942: Bertolt Brecht and Fritz Lang Collaborate on a Screenplay,” A New History of German Cinema, Jennifer Kapczynski and Michael D. Richardson, eds. (Rochester, NY: Camden House, 2011). “Yiddish, the Storyteller, and German-Jewish Modernism: A New Look at Alfred Döblin in the 1920s,” Yiddish in Weimar Berlin: At the Crossroads of Diaspora Politics and Culture, Gennady Estraikh and Mikhail Krutikov, eds. (Oxford: Legenda, 2010), 215-23. “Exile on 125th St: African Americans, Germans and Jews in Edgar Ulmer’s Moon over Harlem,” The Films of Edgar G. Ulmer, Bernd Herzogenrath, ed., (Lanham, MD: Scarecrow Press, 2009), 61-70. “Class War, Anti-Fascism, and Anti-Semitism: Grigori Roshal’s 1939 Film Sem’ia Oppengeim in Context,” Feuchtwanger and Film, Ian Wallace, ed. (Bern: Peter Lang, 2009), 237-46.